Learn to Perform a Prescriptive Chair Fitting and Get It Right Every Time! Worksite International’s Chair Fitting System to include our Chair Fit Request Form, Chair Fitting Evaluation Report(s) and Chair Fitting Database and Dashboard for analytic reports. When you complete the course completion exam, you'll receive your Certificate of Accomplishment in Chair Fit Training using the Worksite International Chair Fit System. You'll get all this for one payment of $497.00 or two consecutive payment of $279.00. An annual renewal of $97.00 will assure you maintain your access to the latest chair fit resources. Why Learn How To Do a Chair Fitting? If you evaluate and/or buy chairs for employees, it is your responsibility to prescribe and source the correct fitting chair, whether new or used................. every time! Start selecting the right chairs for your employees by using a valid, objective methodology based on the principles of human measures and fit. Whether it's for one or many, you'll have the strategy and the knowledge to know what to buy every time. A WorthWhile Investment From Our Clients! Sara Taylor Eggleston, Disability Manager- Structured Health Resources, Inc. Lesson 3: Chair Adjustment Instructions for your Employees; Accountability. Chair Fit Training Exit Survey: Please tell us your thoughts on this course. Course Registration Ends May 7, 2019. Training Portal Opens May 8, 2019. Sign up now to start measuring for chair fit! Purchase the chair fit course for a one time payment or pay over two months. I want to do chair fittings! Why should I learn how to do a chair fitting? Being able to help an employee with their chair is a valuable and rewarding experience for you and them! Learning the correct methodology to perform a chair fitting will assure you and your employees or clients of the best fit every time. Our chair fit methodology helps you to match the right chair based on the user's stature and sitting preferences. What do I get with the Chair Fit training? Inside the chair fit training are instructional videos full of helpful information and technique demonstrations by Alison Heller-Ono, Certified Chair Assessment Specialist. 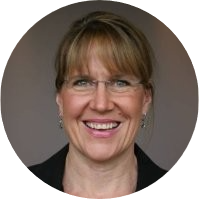 Alison will take you step by step using the Worksite International Chair Fit methodology and forms. Will I be certified after I take the Chair Fit training? Upon successful completion of the training and the requirements, you will receive a Certificate of Achievement in Chair Fit Training. If you want to be certified as a Chair Assessment Specialist (CASp), you need to take both the Chair Assessment Training and the Chair Fit Training in our Masterclass series. Upon completion of both classes and the requirements, then you will be certified as a CASp. Is a chair fitting complicated? It can be, depending on the employee's needs! Our methodology encourages you to use a tape measure to validate your recommendations to assure the best fit and match of employee to the selected chair. Understanding percentiles, using a tape measure and a little bit of math confidence is necessary for a successful fitting. 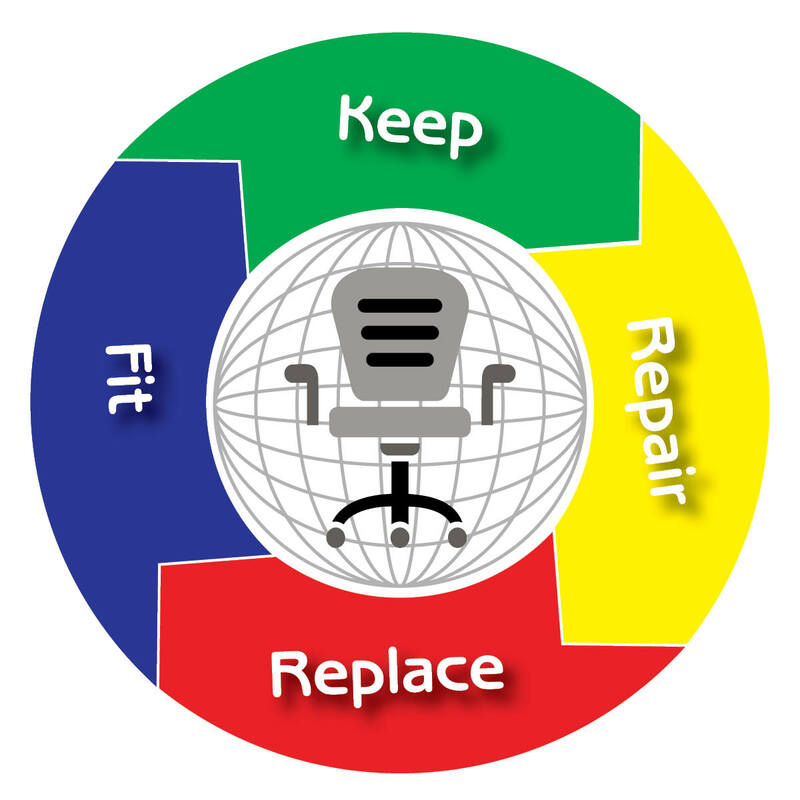 How does the Chair Fit Program fit in with my Ergonomics Program? If your employer offers ergonomic evaluations, then performing a chair fitting is an essential part of the ergonomics process. Chairs are foundational to seated work and good ergonomics! If the chair isn't right, the ergonomics of seated work will never be correct! Will I save money as a result of the Chair Fit training? You bet you will! Because you won't be wasting your money on chairs that don't fit your employees. Not only that, you are likely to reduce the number of seated work injuries at your organization! There is a significant return on investment when you buy good chairs and we will cover that in our training. Included with your training is our unique set of forms, database and dashboard to track all aspects of your Chair Fitting Program. You'll receive our unique chair fit procedure including how to conduct a "chair profile" interview based on employee sitting preferences to help you guide you to the correct chair for each employee you fit. You'll receive our Chair Fitting forms which includes your Chair Fit Evaluation template as well as the Chair Request form employees can complete and submit to you in advance to assist in preparing for the chair fitting. Our Chair Fit Database and Dashboard will allow you to track the results of each chair fitting, the chairs you purchase as a result and their costs along with other features to keep track of your return on investment of this important asset.